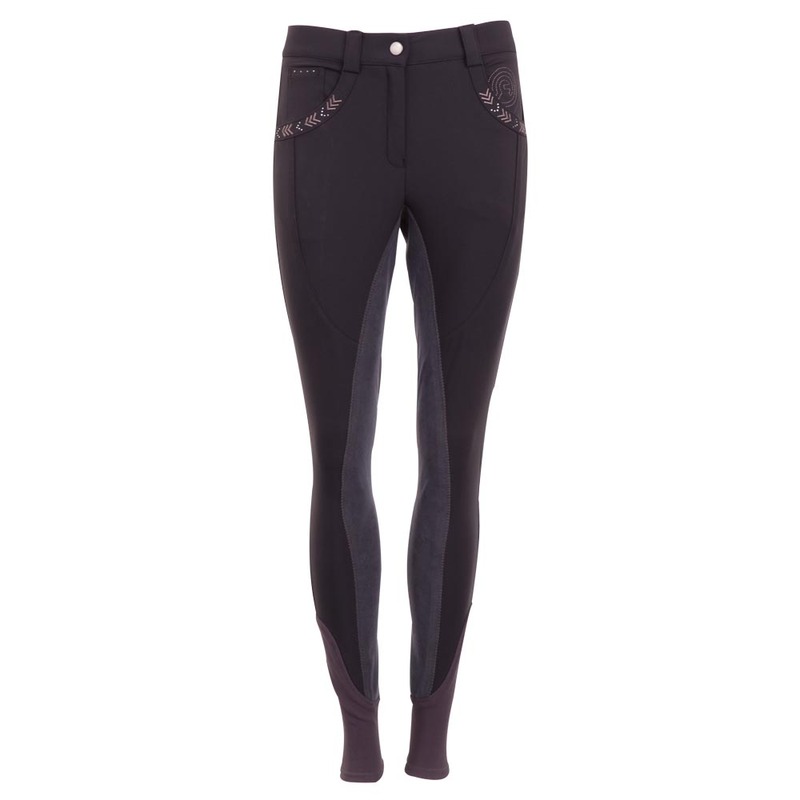 The Crystal Arrow Breeches FLS has a sophisticated look with decorative shiny grey arrow stitching and strass stones on the front and back pockets. 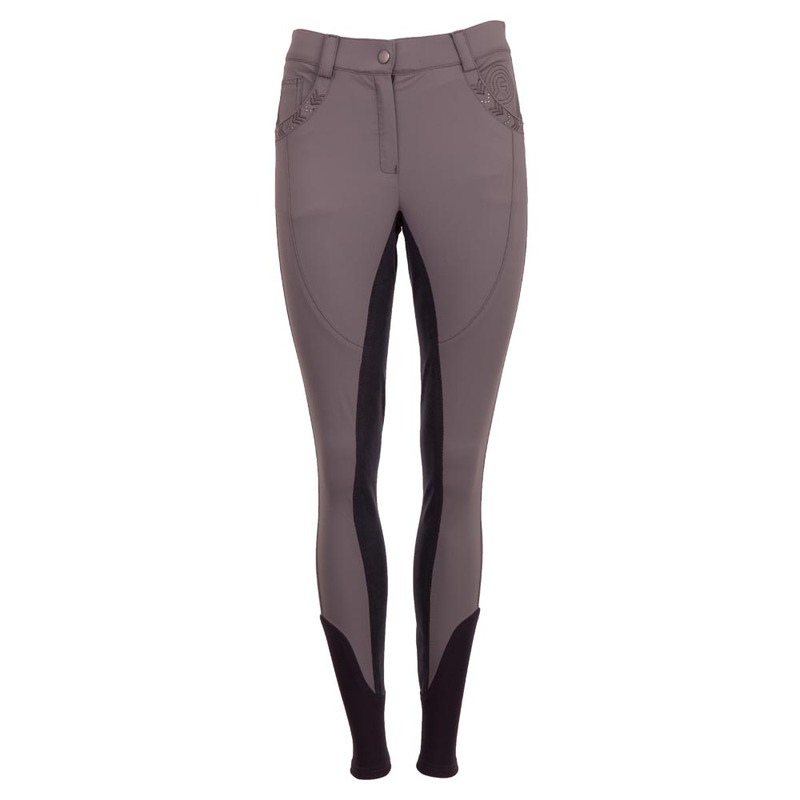 No further details needed for this elegant trainings breeches. 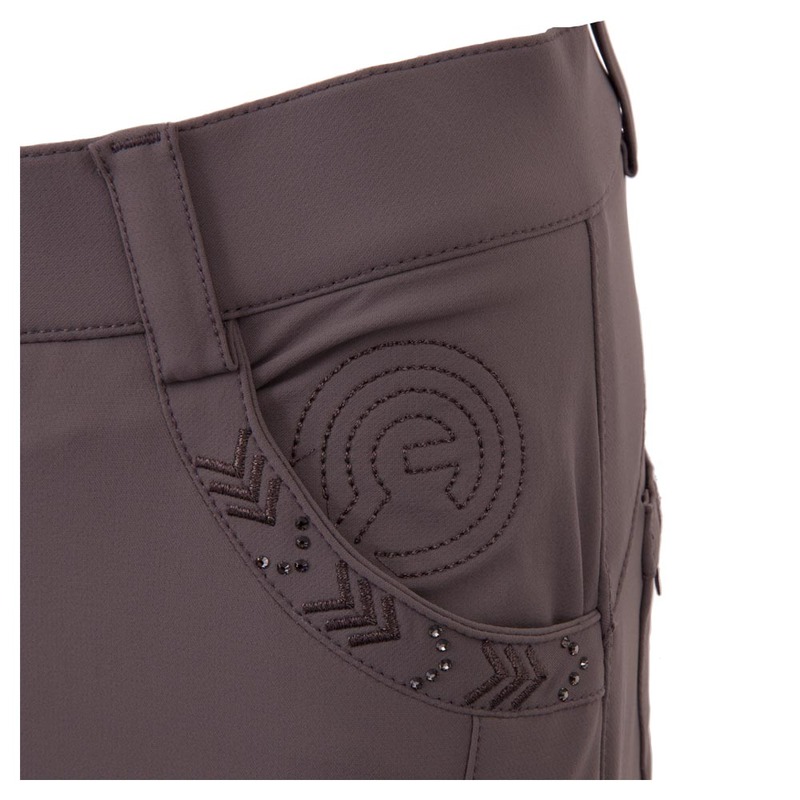 The ANKY® Elegance breeches are just the right breeches for those who like to ride in style. 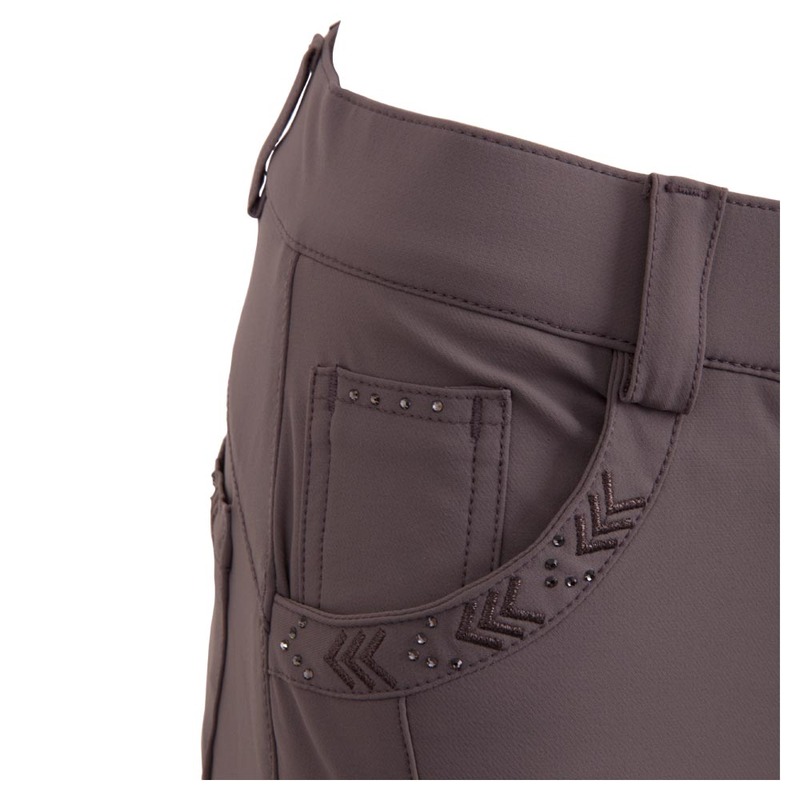 No needless details, only sophisticated gem-stone detailing around the pockets. 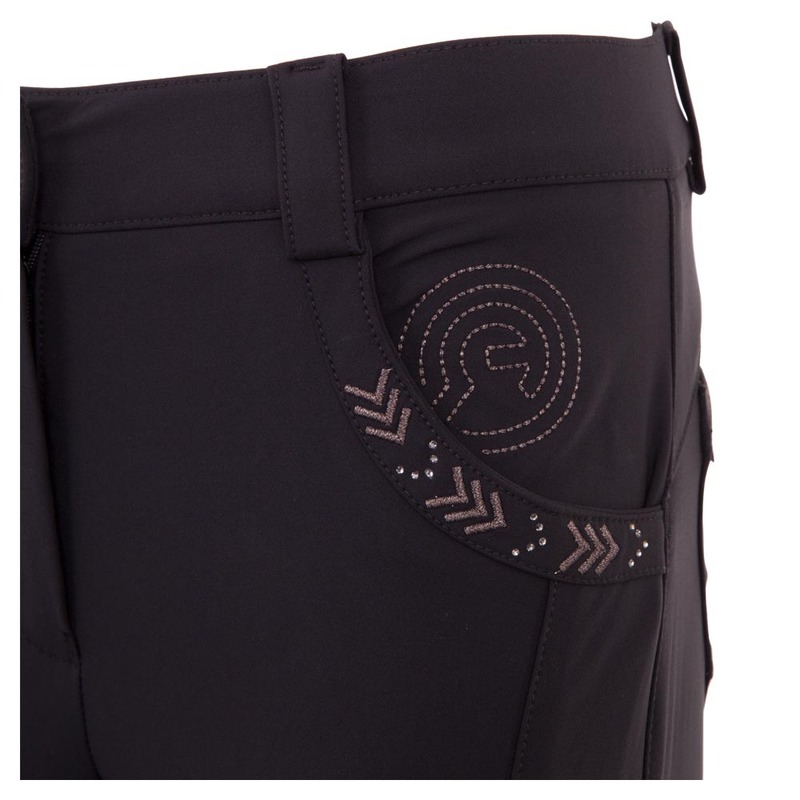 The invisible and lockable slit pockets make a subtle difference.